Arie Luyendyk Jr. on 'The Bachelor' Night 1: It was "overwhelming" and "intense"
Arie Luyendyk Jr. was taken aback by his bachelorettes on the first night of filming The Bachelor, and the meet-and-greet experience evoked a lot of emotion in the pro racing driver. The Bachelor season starring Arie Luyendyk Jr. kicked off with some memorable first impressions and the elimination of a whopping eight bachelorettes during Monday night's Season 22 premiere on ABC. The Bachelor spoilers provide viewers with details about Arie Luyendyk Jr.'s season they're not willing to wait for -- including whether the pro racing driver turned real estate agent is engaged, and if so, to whom! 'The Bachelor' spoilers: Arie Luyendyk Jr.'s winner, runner-up and more revealed! The Bachelor spoilers reveal whether Arie Luyendyk Jr. left the reality dating show with a fiancee, and who that lucky bachelorette turned out to be. 'The Bachelor' spoilers: Arie Luyendyk Jr.'s winner and Final 4 bachelorettes revealed! The Bachelor spoilers give away details viewers simply don't want to wait for -- the results of Arie Luyendyk Jr.'s journey to find love. 'The Bachelor' spoilers: Who are Arie Luyendyk Jr.'s Final 4 bachelorettes and his final pick? The Bachelor spoilers reveal Arie Luyendyk Jr.'s Final 4 bachelorettes as well as the woman he allegedly chose at the end of his search for love. The Bachelor star Arie Luyendyk Jr.'s 29 bachelorettes who will be competing on Season 22 have been revealed by ABC. 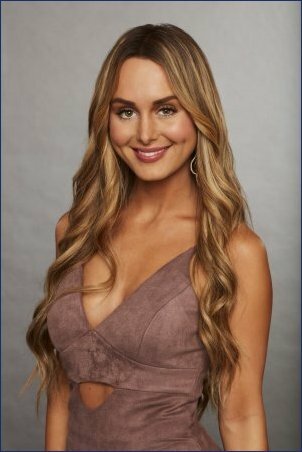 'The Bachelor' spoilers: Which bachelorette receives Arie Luyendyk Jr.'s special First Impression Rose? The Bachelor's Season 22 premiere starring Arie Luyendyk Jr. is still several weeks away, but for fans who can't wait until then, here's a juicy detail about which bachelorette hit it off with Arie the best on Night 1. 'The Bachelor' spoilers: Arie Luyendyk Jr.'s complete list of Season 22 bachelorettes allegedly revealed! The Bachelor spoilers are unraveling the details of Arie Luyendyk Jr.'s upcoming season, including the entire cast of bachelorettes.